This is where Västerlånggatan and Österlånggatan crosses each other. Järntorget is not far from Skeppsbron and was named in 1489 and remained Stockholm´s most important trade center for centuries. 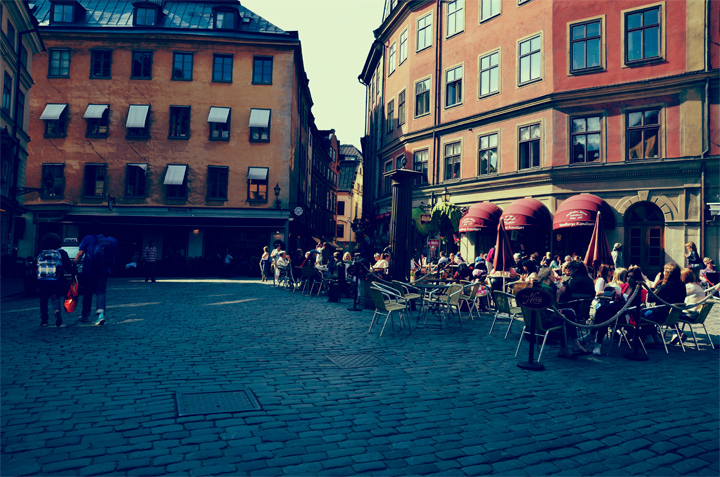 Järntorget is the second youngest square in Stockholm, slightly younger than Stortorget. Very cozy and popular – specially during summer. 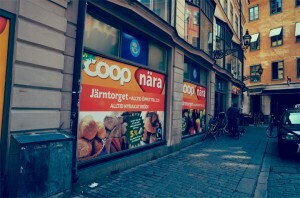 Here is also a grocery store (Coop).